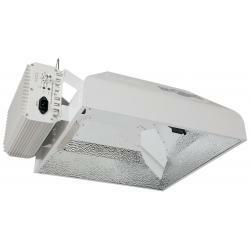 AgroFlex™ flourescent fixtures feature a highly reflective and efficiently designed wing style reflector. 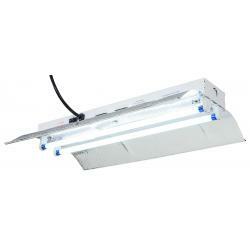 They have a white powder-coated steel ballast housing is durable and easy to clean. 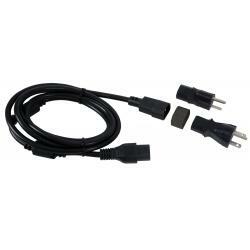 8 foot power cord and on/off switch allows for ease of operation. 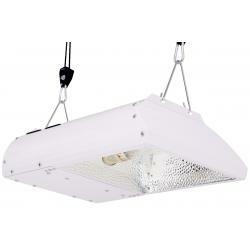 V-hangers are included with every fixture that allows the fixture to be hanged vertically or horizontally. 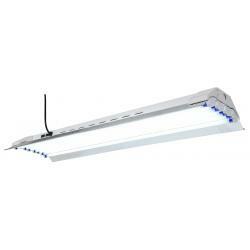 Eight lamp model features two on/off switches to operate four lamps at a time if desired. 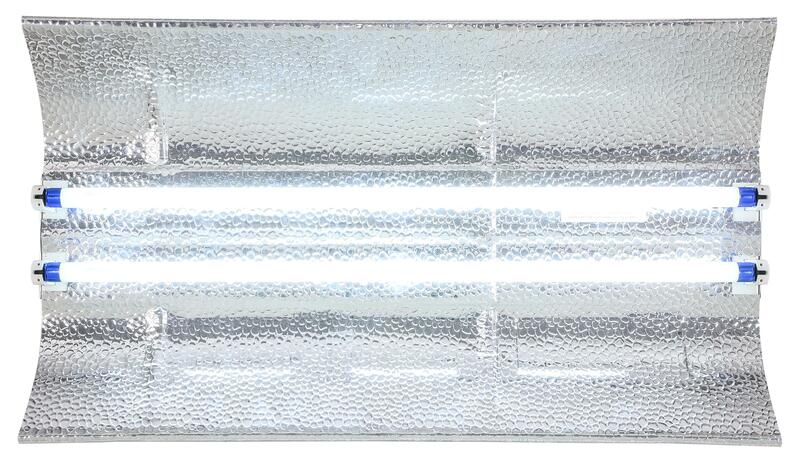 High output lamps have an extremely high lumen per watt rating at 5,000 lumens per lamp (on 4 ft version). Run on 120 volt power only. 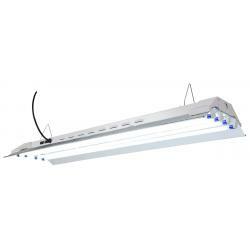 Includes Spectralux® 6500°K (blue) T5 HO lamps. 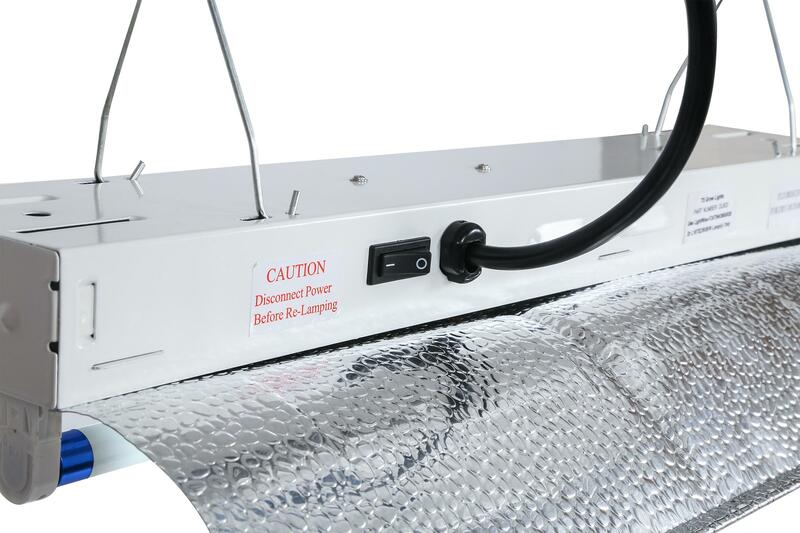 Daisy chain feature allows multiple fixtures to be plugged in together.